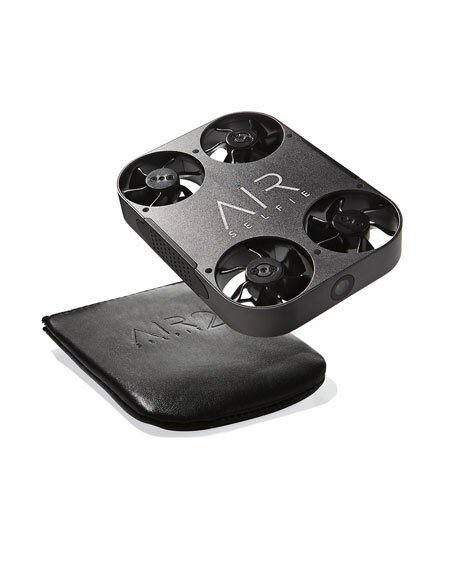 AirSelfie2 is an innovative new photo-video-tech concept simple to use, safe and easy to carry around. 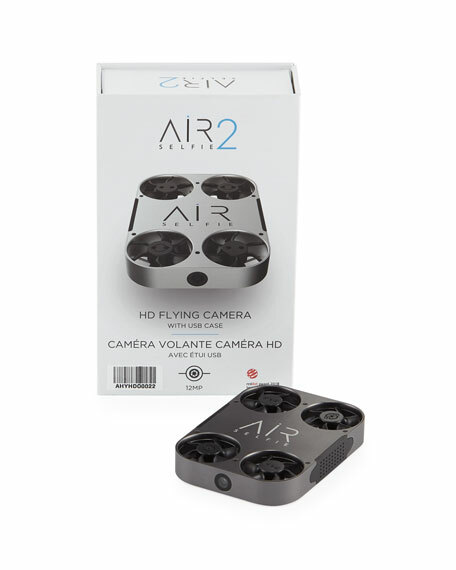 A flying camera that exceeds all current standards. Includes: AirSelfie2, USB-C charging cable, leather carrying case, and manual. Aluminum, leather, and polycarbonate plastic. 4.1"W x 1.97"D x 6.7"T.